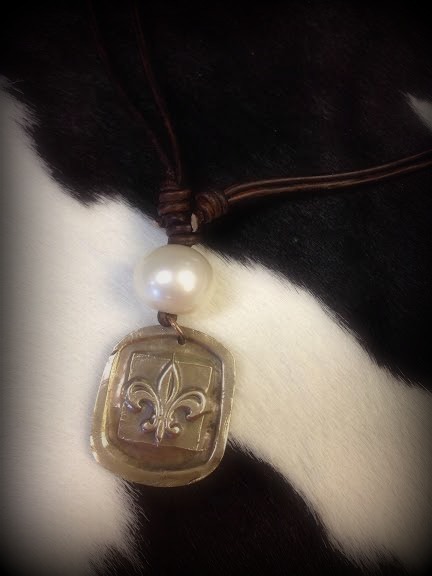 Bronze fleur de lis charm with large freshwater pearl hand knotted on premium leather cord (color of your choice). This necklace has a sliding knot closure for an adjustable length. You will love the compliments that come with this unique piece! Necklace is adjustable from 16" - 34".